Call 352-363-5571 for 24/7 for Bail Bonds! Download the official Tyrone Baker Bail Bonds app from iTunes! Experienced Local Bail Agent that provides 24 hour bail bonds in Gainesville, FL. Tyrone Baker Bail Bonds is an experienced bail agent serving Gainesville, FL. We understand that getting arrested is a difficult situation. When you are placed in jail, most of the time, a judge will set a bail for your release. 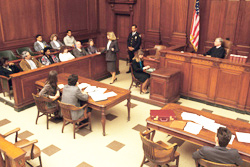 After you post bail, you are expected to show up for all of your court proceedings. Helping someone get out of jail doesn’t always need to be difficult, but it can be if you don’t choose the most professional, trusted and experienced bail bond agent. Tyrone Baker, a bail bond expert, has made the getting out of jail process an easier and less stressful one with exceptional bail bond services. Our caring and respectful staff of friendly professional bail bondsmen will take you through the process from start to finish. 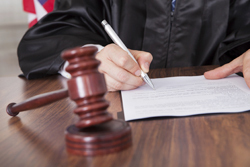 Our 24 hour bail bonds are always to you at the time of your most urgent need. We're a professional bail bond agent! Local bail agent Tyrone Baker Bail Bonds serves the area of Gainesville, FL, as an understanding and compassionate bail agent. A bail bondsman acts as a surety, pledging money or property in court as bail for a criminal defendant. If you need to find a dependable and trustworthy bail bond service, then Tyrone Baker Bail Bonds is the agency for you. From smaller to larger bail bond services, Tyrone Baker can help you with the most suitable options during a very trying time. Tyrone Baker is one of the most respected and reliable bail bondsmen in the Gainesville, FL, area, here to ensure that you are released from jail as quickly and painlessly as possible. In addition to using bail bonds, the defendant can also be released under many other terms, including their own recognizance, cash bond, property bond, surety bond and citation release. 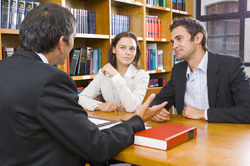 Tyrone Baker Bail Bonds will discuss your options to find the best solution for you. 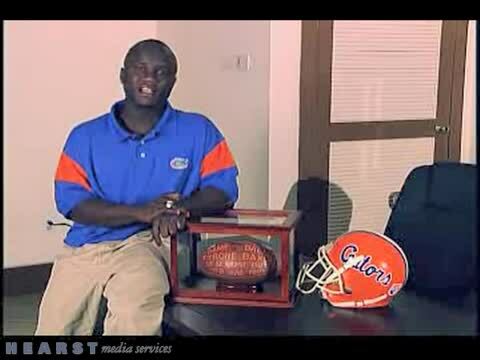 Tyrone is a local bail agent you can trust! No matter the type of bail or bail alternative you are in search of, Tyrone Baker Bail Bonds can help you. There is hope, and there is the option to prosper and find fulfillment with the 24-hour bail bonds and services offered by Tyrone. For more information on how this bail bond agent can help you and for terms and guidelines referencing larger bail amounts and failure to appear in court, please call 352-363-5571. There is a 10-12% fee charged; this percentage is based on the final amount of the bail bond.